The railfreight industry has, for too long, been overshadowed by the cash cow express passenger business, which calls the agenda for Britain’s railfreight industry. 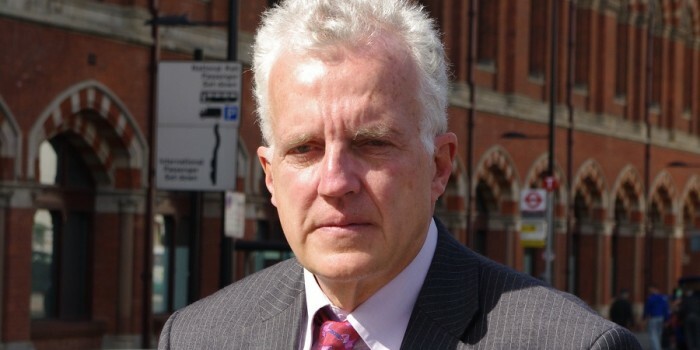 But renewed concern over the environment and congestion means the tide could at last be turning, says CHRISTIAN WOLMAR. These are heady days in the rail freight industry. After a bad year or so following the uncertainties caused by the sudden departure of Ed Burkhardt as head of EWS and a slowdown in the growth rate, there are now grounds for more optimism because of a renewed interest in government circles and signs of another upturn. There is, too, a lot of renewed interest in railfreight given the increased congestion on the roads. The rather gimmicky freight innovation competition organised by the Strategic Rail Authority attracted a wide range of entries and interest within the industry and the three winners eventually shared £6m, £1m more than originally announced. Moreover, the Strategic Rail Authority’s freight department, under the leadership of the long-time freight campaigner, Julia Clarke, is now beginning to exert some muscle and is no longer being seen by the SRA’s leadership as a mere irritating add-on. The railfreight industry has honed its lobbying powers and has launched a campaign, backed, amongst others, by the CBI and the Freight Transport Association, for a programme of investment of £5bn over the next decade. While that might be a trifle optimistic, it does show a seriousness of intent that has not existed in the industry for many years. However, railfreight is a delicate flower, which is at the whim of all kinds of developments – political, social, economic and technological. The recent series of articles in RAIL has highlighted both the potential and the problems facing railfreight and they were also well demonstrated by a presentation at the recent annual Rail Freight Group conference by Railtrack’s Chief Executive, Gerald Corbett. Mr Corbett set out the way in which various government policies have an impact on increasing or reducing rail freight. For example, a 4% annual increase in fuel tax for lorries would lead to a 32% increase in market share or railfreight by 2010 and increasing the maximum allowable lorry weight to 44 tonnes leads to a 12% reduction. The other factor with a big negative impact on freight is if access charges increase steeply to pay for the required enhancements. This would lead to a 43% fall in market share. Of the other efficiency gains, subsidies, better service and increased road congestion all lead to a significant rise in rail’s share of the market. From this, it is clear that railfreight is possibly a unique industry in that its success or failure is at the whim of such a variety of government decisions and policies. While it was great to hear John Prescott extolling the virtues of rail freight at the unveiling of the 250th Class 66 in late June, one has to judge his performance by the various criteria set out by Mr Corbett. Both the ending of the automatic fuel tax escalator and the increase in lorry weight to 44 tonnes will lead to railfreight becoming less competitive. Therefore, Mr Prescott has to make this up through direct subsidies for investment and for extensions of the freight grants, both of which he suggested would be contained in the government’s 10-year transport plan to be announced later this month, just to retain rail’s market share. Currently, railfreight tonnage is around two-thirds bulk goods such as aggregates and steel and one-third manufactured items. Although tonne-kilometres have risen quite steeply in recent years, much of that growth is down to the carriage of coal for longer distances. Now that much of it is imported, the distance from the ports to the power stations is longer and railfreight has done well out of that business. However, the position in the rest of the industry is, with one or two exceptions, largely static. So where will the future growth come from? The first prerequisite of continued growth is to improve the quality of the product. It is no good, as one of the speakers at the conference put it, to say to users that delivery may take one day or three. The industry has to provide the same kind of service which road offers. As one industry insider put it to me at the Rail Freight conference, ‘you can’t expect us to compete if we say, “your delivery may come tomorrow or in three days time”‘. And he was citing a real example! It’s clear from Mr Corbett’s analysis that the second prerequisite is government support. However, the government has to be careful because overall subsidies would distort the market and waste large amounts of taxpayers money, but there are certain freight flows where support for investment and, possibly, payment of access charges, would make all the difference. If the road industry shouts foul, politicians can point to the substantial environmental gains and to the fact that lorries, unlike rail, do not pay access charges. Currently railfreight has around 6% of the market and John Prescott expressed hopes that it could achieve 10%, but even if it trebled to the proportions pertaining in France and Germany – around 18% – we would not suddenly find the M1 and M6 devoid of juggernauts. Nevertheless, railfreight can make an enormous difference to certain communities, saving residents from a nightmare of a constant stream of lorries driving on their roads, improving both the environment and safety. That is why railfreight is worth fighting for but care must be taken to ensure it is not seen as a panacea. And the key issue is the role of the government. Like so much in the privatised railway, the future prospects for freight are dependent on government policy. The government wants to be seen to be doing something to get lorries off the roads and ministers are keen to point to some real successes. Therefore, the runes are good but will they prove accurate when we get details of the government’s investment and spending plans in the 10-year investment plan and the comprehensive spending review later this month? The timidity of Labour in transport policy has never been more evident than its recent rejection of a Railtrack offer to partly renationalise the company in order to boost investment and to give the government a stake in the company’s future. The idea, revealed in the Independent on Sunday last month, was the government would hold a significant chunk of preference shares, a kind of halfway house between ordinary shares and simple debt. To be fair, the offer, made secretly in a negotiations between ministers and the company in the run-up to the rail summit, did not come about entirely as a result of altruism on Railtrack’s part. The company has realised its previous policy of being in it only for the money was not viable especially under a government that proclaims it is fervently pro-public transport. Nevertheless, it was a brave offer to make. Having a couple of government appointees on the board wouldn’t be easy but the Chief Executive, Gerald Corbett, quite rightly felt that bringing the government on board would forge a genuine partnership that would benefit the industry and passengers. Indeed, it would seem to have been just the sort of idea to have given flesh to Tony Blair’s Third Way approach, which has, so far, been rather short on substance. But ministers rejected the idea for two reasons. First, they are worried about being associated too closely with the industry. As one senior rail industry source put it, ‘they don’t want to be blamed for delays on the Dorking line.’ That is a very revealing comment. It shows that the government rather likes the fact that the industry is in the private sector because it is a convenient aunt sally whose failings can always be blamed on the other lot who privatised the railways. Secondly, and most importantly, ministers were concerned that such a tie-up would commit them to Railtrack’s ambitious investment plans. No longer would they be able to point the finger at the company and blame it for failing to improve and expand the network. So Labour has chosen what apparently looks like the easy way out and sat on its hands. In fact, given that transport and the railways are creeping up the political agenda, it might be a duck-out too far. He was only just pipped to the post by his fellow conductor who remonstrated with the guy he was replacing on the same train at Bournemouth because the latter had allowed more than five bikes onto a fairly empty train. ‘It’s against the rules’, he said, which actually is not the case. It’s discretionary on the part of the guard and, moreover, the train was relatively empty and SWT had two satisfied, rather than disgruntled, passengers. The guard, though, would have none of it: ‘If I had my way, I’d ban all bikes.’ Possibly Stagecoach could spend a little bit more of that £38m annual profit on customer skills training. The award for best complainer must go to Garron Baines, a TV executive, who has been running a one man campaign against WAGN, which operates his regular train from Newport on the Cambridge line, to Liverpool Street. Mr Baines who has travelled in to London on that route for the past 22 years has been leading a campaign about delays and short formations on his usual train, the 0757 from Newport. Mr Baines started handing out cards to fellow commuters, which he had printed showing the e-mail address of Euan Cameron who runs WAGN. Mr Baines also e-mails Mr Cameron directly every time his train is delayed. As a consequence, Mr Cameron has been bombarded with e-mails and Mr Baines’ campaign attracted considerable publicity on local TV and newspapers, including London’s freesheet, Metro. Mr Baines’ main gripe is that an eight-car train has, for the past few weeks, only had four coaches which means standing nose-to-nose for the journey. WAGN says this is a result of delays in the refurbishment of trains for the expanded Stansted Express service and in cascading from one of its other franchises, LTS, where introduction of the new rolling stock has been delayed. But when Mr Baines discovered that some trains had been leased out to Thameslink, run by GoVia, he went ballistic and started phoning up and e-mailing Mike Grant, the chief executive of the SRA, and all and sundry at both Prism and the SRA. He says he will even claim the credit should Prism lose the franchise. The important lesson, however, is just how e-mail can be a democratising force and gives the passengers power.